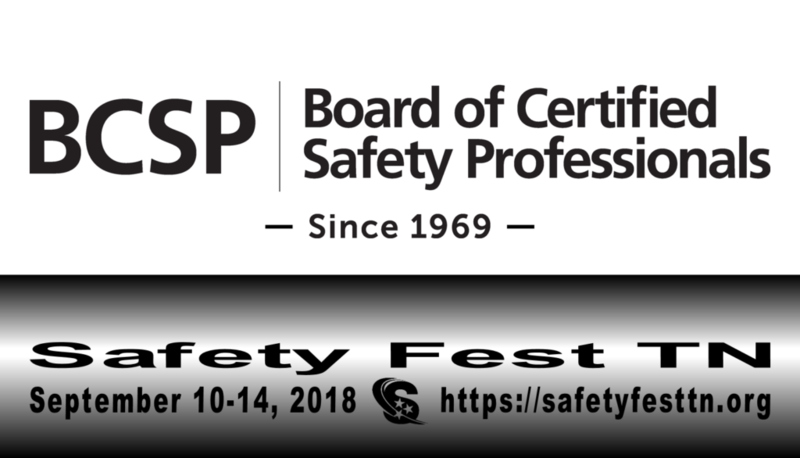 Safety Fest TN is a week of over 100 safety & health classes, sessions and demonstrations – all FREE to everyone who registers! There’s more information about Safety Fest TN below but for now… Thank you BCSP! The Board of Certified Safety Professionals (BCSP) began in 1969 as a peer certification board. BCSP sets and certifies technical competency criteria for safety, health and environmental practitioners worldwide; enhancing careers, advancing the profession, protecting the public. Creating a safer world through safety, health and environmental certification.